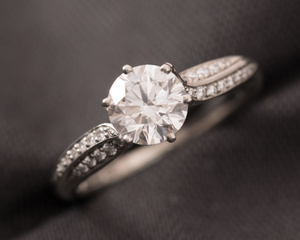 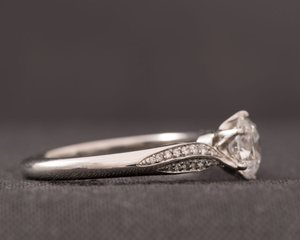 Classic with a twist is what we had in mind when creating this Platinum and Diamond engagement ring. 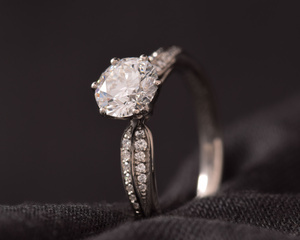 We kept its form elegant and timeless, giving it a rounded tactile feel. 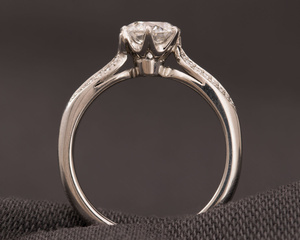 Two rows of smaller Diamonds set along the shoulders in a fluid curve toward the centre stone add an unusual touch to the classic six claw design.